The plastic apocalypse is upon us. If we continue to use plastics at the current pace, by 2050 there will be more plastic per pound in our oceans than there are fish! Aside from polluting our favorite beaches, they also pose a threat to sea life. Exposed to the elements, plastics can quickly break down creating microplastics which travel through the marine ecosystem. That's in addition to the damage done by the giant vats of plastic flotsam like the Great Pacific Garbage Patch. One of the most insidious forms of plastic is styrofoam — AKA polystyrene. The material is often used to make single-use items like food containers for takeout at restaurants. They are used and discarded within minutes, but their damage can be felt for millennia. That's why various American jurisdictions have passed bans on styrofoam, but to date, no state government has been successful at a statewide prohibition. But that could change. After both California and Hawaii failed, Maryland is just a governor's signature away from actually passing a styrofoam ban. For coastal and island states, polystyrene is particularly disastrous. The one-time-use material doesn't biodegrade and can pollute the ocean and shores, worsen water quality, and threaten marine life and tourism. But this isn't just a coastal problem. The ocean belongs to all of us and it is our duty to do everything we can to save it before it is too late. State governments across the country need to pass styrofoam bans. It is one of the most powerful ways we can make a dent in our current plastic crisis. 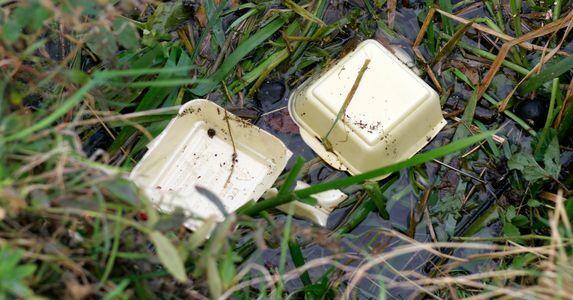 Sign the petition and then contact your local state representative and demand that they introduce a polystyrene ban now before it's too late.